Today, I Received Mail About Wordlist And Their Huge Size. Many Internet Users Have Low Internet Speed And Small DATA Pack. A dictionary attack using a wordlist relies on the fact that most users choose weak passwords. Very common passwords include password,computer, work, and most of the popular female names. 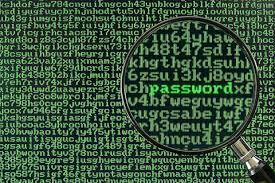 The most common uses for wordlists are auditing windows passwords and Unix passwords. It is also possible to use a wordlist to recover passwords on documents and files, such as Zip passwords. In fact, a wordlist can be used to to attempt a dictionary attack against any system which allows repetitive login attempts, such as SSH or POP3. So, I Search For Wordlist On Internet And I Founded A Good Wordlist Size 29 Gb (Compressed In 33 Mb). Note:- This Download Link Will Pass Through adfoc.us Ads Pages 2 Time. So, Don't Worry Wait For 6 Second And Then Click On Skip Ads.